There are some spectacular family cycle runs to be had in Argyll’s Secret Coast, where the country roads are quiet and the scenery is spectacular. 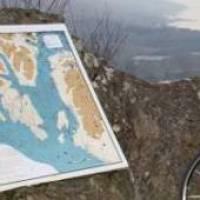 My favourite is a ten-mile trail starting at Kames. All the family can tackle it together. With stops on the way for a swim, ice cream and juice, the children will love it. This is a charming route which spins you along the coast road, hugging the water’s edge where grey seals haul out to bask like bananas on the rocks. In the summer months, the tea room at Carry Farm is open. Stop here for juice for the kids before you head off along the road to Ardlamont Point where the road swings inland and climbs to Ardlamont House, the ancestral home of the Lamont family. Some effort is required as you tackle the first serious rise, but it’s well worth it for the spectacular views at the top at Cora. You can see all the way from the Ayrshire Coast right down to Skipness at the bottom of the Kintyre Peninsula and, on a very clear day, the Irish coastline is just visible. Collect the reward of a downhill run before another climb to the top of the hill overlooking beautiful Kilbride Bay, known locally as Ostell Bay, where you can have a dip in the sea. The long downhill stretch takes you past Kilbride Farmhouse and the pedestrian and bike access to Ostell Bay before you reach Millhouse crossroads. Pause for a reviving cuppa and a treat at the Barn before continuing right at the crossroads to complete the last mile of the loop back to Kames and a well-earned refreshment at Kames Hotel.